Q: Can you tell us a bit about Smarter Loans and how you are able to help Canadians that are looking for financing? Vlad Sherbatov: Absolutely, Smarter Loans is Canada’s Loan directory for any type of financing. Canadians looking for financial products discover, compare and apply with Canada’s top lending and financial companies, all in one place. We make it easy, fast and safe for Canadians to find any type of loan or financing. Our users are able to come to a single place and find loan providers that offer: personal loans, business loans, auto loans, mortgages, equipment financing and many other types of loans in Canada. Q: Why do Canadians love using Smarter Loans? Rafael Rositsan: People love using our platform because it lets them easily compare all their available financing options, start an application from the comfort of their home, and know that they are dealing with the country’s most reputable financial companies. 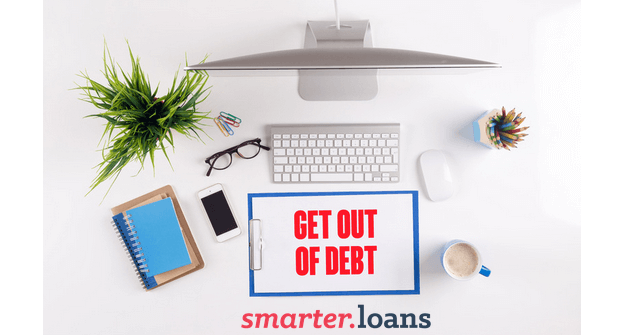 Smarter Loans was founded in 2016 with the goal of helping Canadians make smarter financial decisions. Our focus in the first two and a half years has been on bringing value, information, transparency and a great experience to our users, we think that they appreciate that. We offer visitors to our site the main information they need in order to make a smart decision about which lending company they want to apply for a loan with. We are also able to match them up with the companies that are most likely to approve them for the financing based on their need & financial situations. This service saves them a lot of time and gives them the peace of mind to know that they will only deal with a reputable loan provider. Lastly, we highlight some of the most reputable & innovative financial products & companies in Canada and our visitors are able to learn about their products and solutions through us. Q: What makes your company stand out from the competition? Vlad Sherbatov: There are a number of key things that make us unique. We are innovative pioneers in the Fintech space, an industry that is still very much in the growth stage. We were the 1st online loan directory of its kind in Canada, and were able to fill a clear gap in the marketplace, by providing educational and practical content to Canadians nationwide, that they cannot obtain elsewhere. Our core values and reasons for existingare to genuinely help people and improve the process of obtaining any kind of financing in Canada. Before we launched Smarter Loans we did extensive analytical research on the Canadian financial marketplace, and saw some glaring gaps. Being 2 Canadian entrepreneurs, we believed that we can help fill those gaps by creating a resource like Smarter Loans, a place where we can highlight some of the top financial companies and products that are available in the country. One of the first things we addressed was filling the information gap, by providing key information about product features, terms, fees, and eligibility requirements for some of Canada’s top financial solutions. Q: How does Smarter Loans help financial companies? Rafael Rositsan: Smarter Loans is there to highlight companies that practice responsible lending, have a proven-track record, and provide great products & service to Canadians. We simply help connect these financial companies with people that are in-market for these products and services. Financial companies that are listed on Smarter Loans are able to generate new business and help establish themselves as reputable companies in Canada. We help recognize the leading financial companies that have been vetted by Smarter Loans and meet our standards. They receive our quality badge once they meet the listing criteria. You can learn more about our badge here. Vlad Sherbatov: Looking into the future, we want to continue to bring Canadians the most up-to-date information on new financial products & help improve their financial situation, no matter what credit they have. Our goals are to keep helping people and listening to feedback from our users. We’ve gotten pretty good at understanding & tailoring our user experience by constantly communicating with our web visitors and partners. The future is looking bright and we are proud to be a Canadian company that is disrupting the Fintech industry.